Introducing our luxury collaboration with interior design agency Studio Gabrielle. Inspired by international influences from Scandinavia to Australia and the Studio Gabrielle aesthetic. 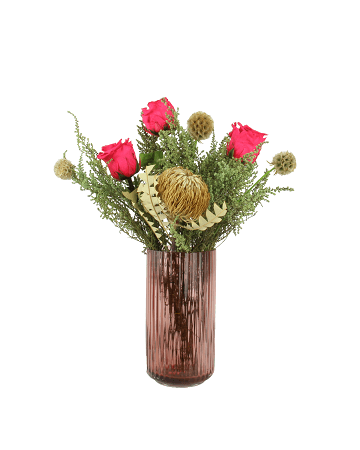 A luxury, designer collaboration preserved flower bouquet of dried pink protea repens, heathery pink preserved stoebe and yellow eucalyptus. 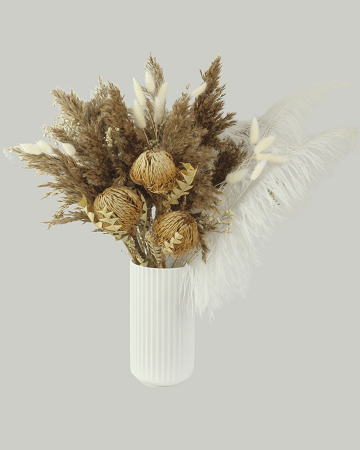 A luxury, designer collaboration preserved flower bouquet of dried banksia baxteri, pampas grass, bunny tails and preserved gypsophila, with luxury ivory ostrich feathers. Preserved rose bouquet with vintage white preserved roses, natural preserved gypsophila, yellow preserved eucalyptus and green preserved eucalyptus. 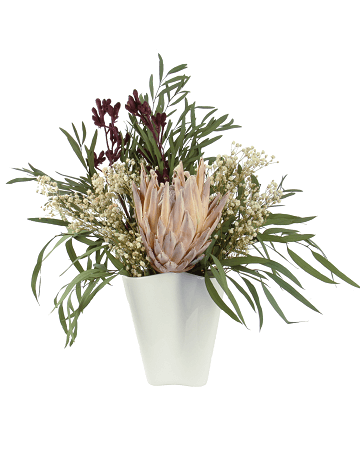 A luxury preserved flower bouquet containing large, natural white roses, king protea flower, bunny tails and eucalyptus. A luxury preserved rose bouquet containing dark pink roses, green heathery stoebe, scabiosa stellata and a stunning banksia baxteri.. Preserved flower bouquet. 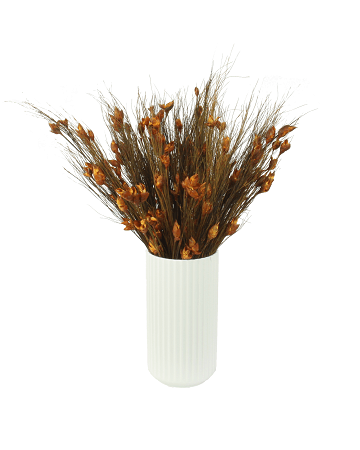 Dried flower bouquet. 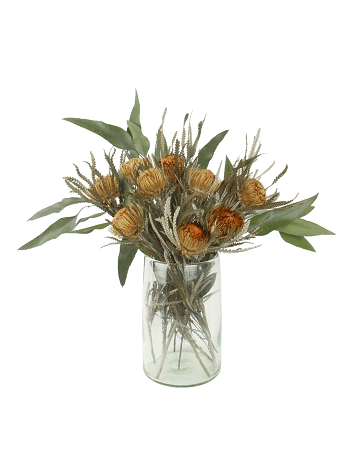 Preserved eucalyptus, dried protea, scabiosa stellata, poppy seed heads and achillea. 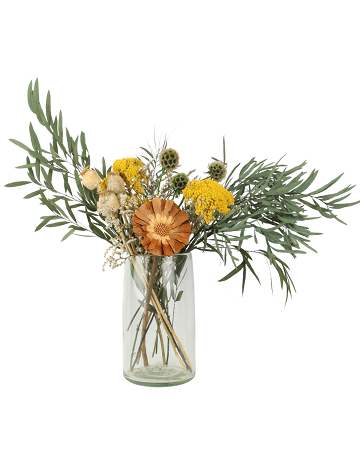 Preserved flower and dried flower bouquet. 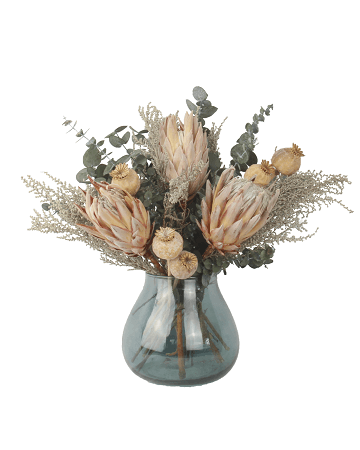 Dried king protea, dried poppy seed heads, preserved white stoebe and preserved eucalyptus make a luxury arrangement. A luxury preserved flower bouquet containing a large pale pink hydrangea head and a large rose pink hydrangea head, and green populus. 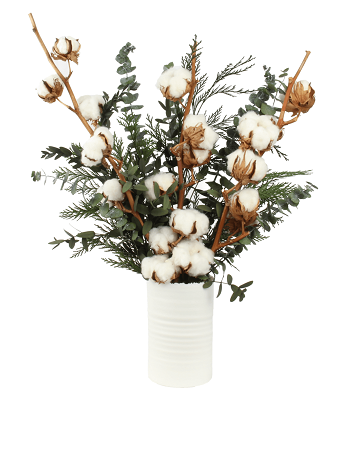 Preserved flower bouquet containing preserved fir leaves, preserved eucalyptus and dried cotton stems. 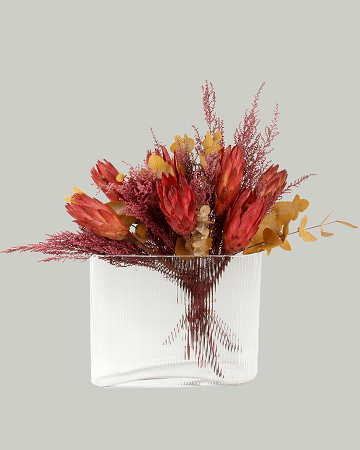 Preserved and dried flower bouquet of dried cotton flowers stems and dried white statice dumusa, with preserved eucalyptus foliage. 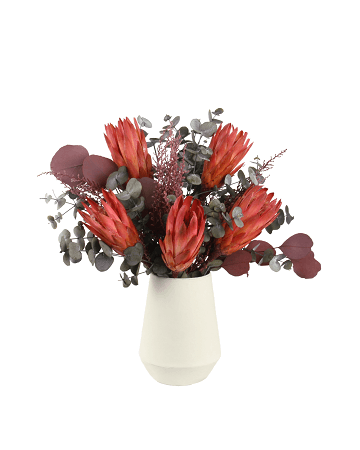 Luxury preserved flower bouquet including preserved eucalyptu, preserved natural gypsophila, dried king protea, dried burgundy kangaroo paw flower. Hand-tied preserved flower bouquet. 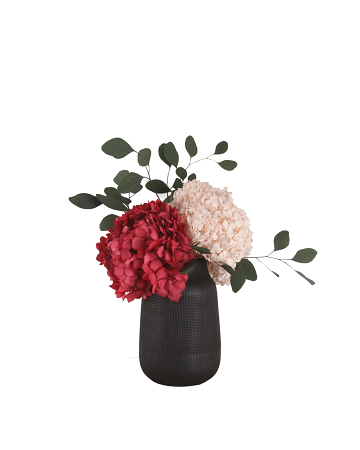 A preserved flower bouquet with luxury rose pink hydrangea head, yellow solidago and eucalyptus greenery. 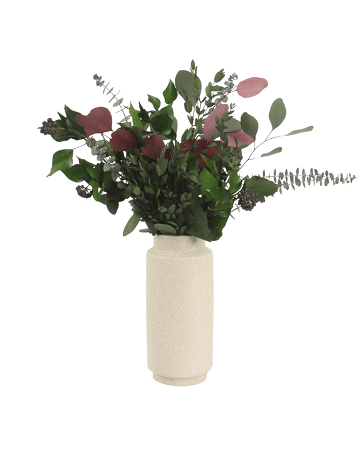 A preserved foliage bouquet containing eucalyptus, parvafalia, red and green populus and ivy with berries. 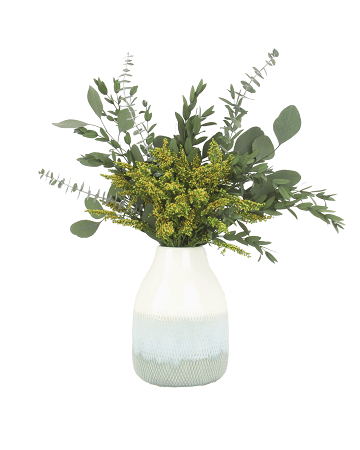 A Scandinavian style preserved foliage bouquet containing yellow solidago and eucalyptus, parvafolia and populus. 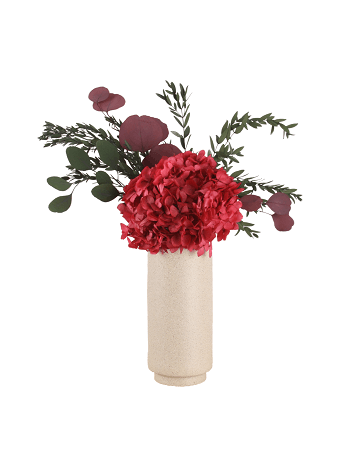 A preserved flower bouquet with luxury rose pink hydrangea head, red and green populus and eucalyptus greenery. 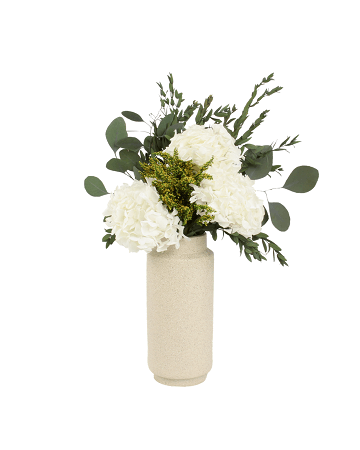 A preserved flower bouquet containing preserved white hydrangeas, yellow solidago and eucalyptus parvafolia and populus. A flower subscription with a difference. Our flowers will not wilt and die after a week or two, they will remain fresh and beautiful for up to a year. 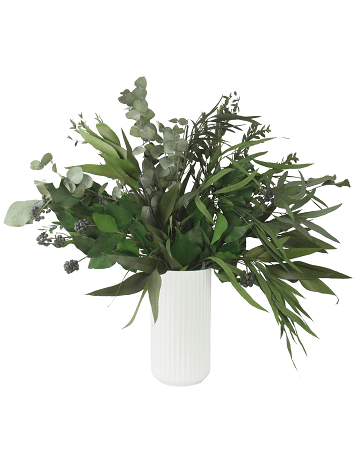 With a shida subscription you can fill all of the rooms in your home with beautiful blooms all year round. 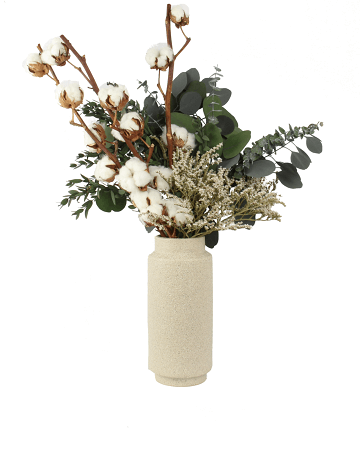 The latest florist-designed bouquets will be delivered to your home for you to enjoy. Choose from either monthly or quarterly subscriptions. 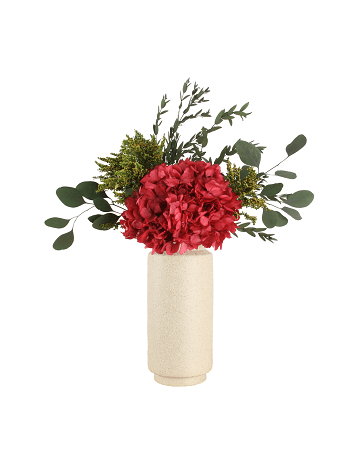 Get a new hand-tied or letterbox bouquet delivered to your home every month. 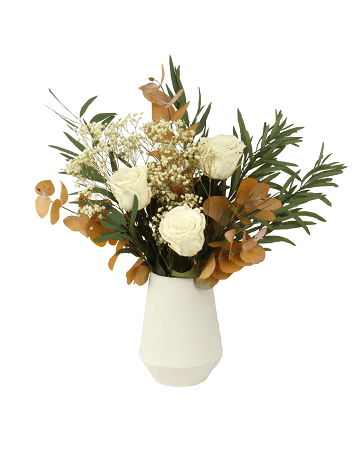 Get a new hand-tied or letterbox bouquet delivered to your home every three months. 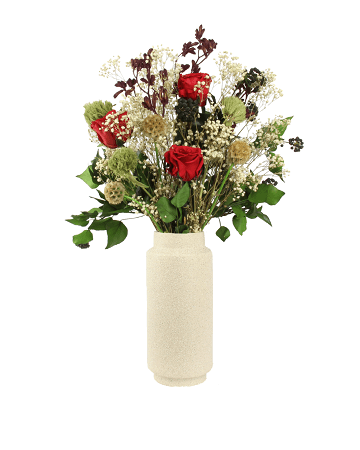 We specialise in making beautiful one-off floral displays for your home or business. 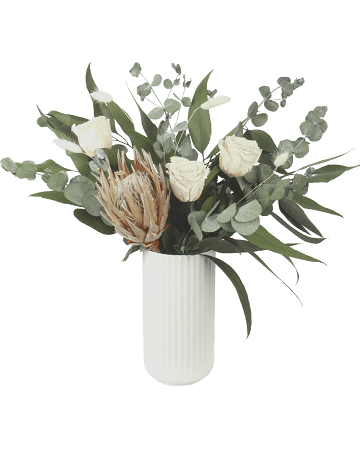 Call us on 0207 438 2010 or email Katherine at katherine@shida.florist to discuss your requirements. A show-penthouse in London Docklands with Conran Contracts and Design Command.